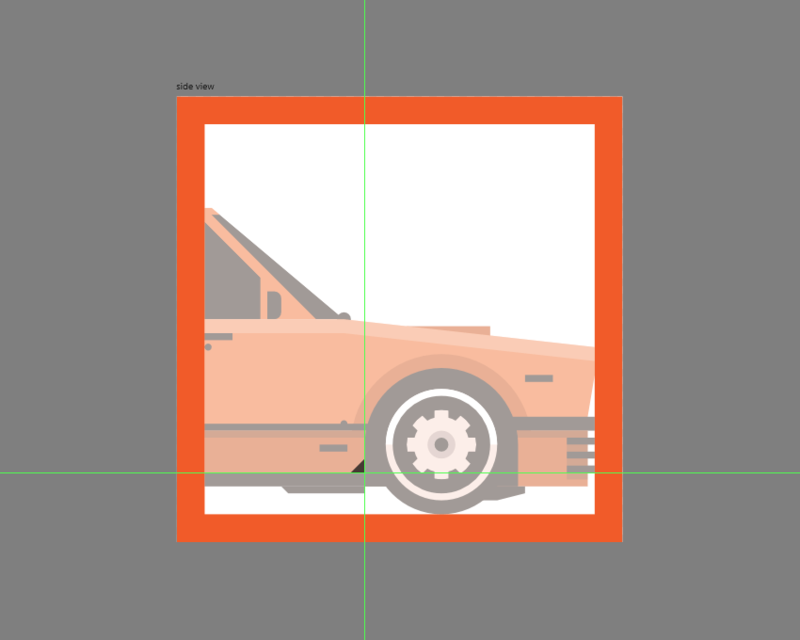 Also, don’t forget you can always expand your vector library by heading over to Envato Elements where you’ll find a great selection of car-themed icons. background, bring it up and let’s get started! 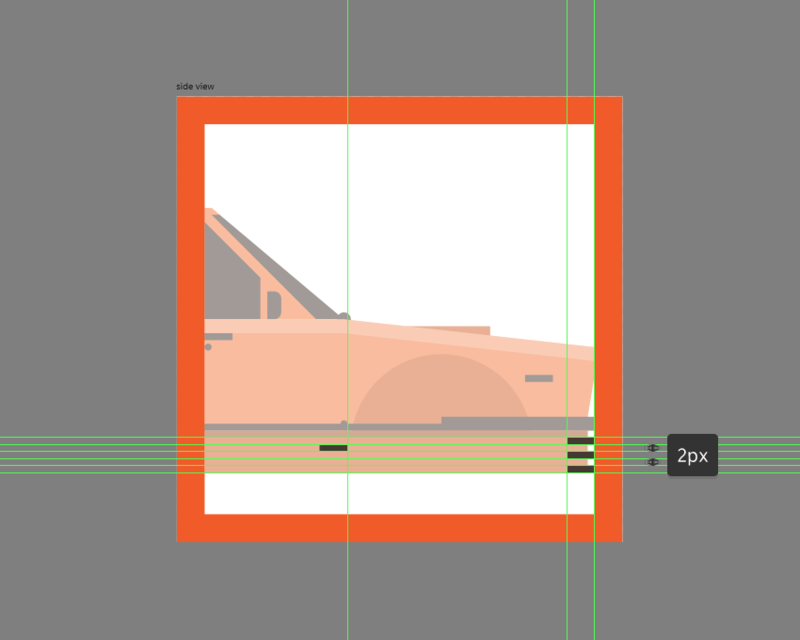 Artboards, one for each icon, in order to maintain a clear and steady workflow. Horizontally option, making sure to uncheck Auto Distribute and enter a custom value of 64 px. position a shape on top of them, they will automatically lock into place. our icons by focusing on size and consistency. smallest possible size and build on that. 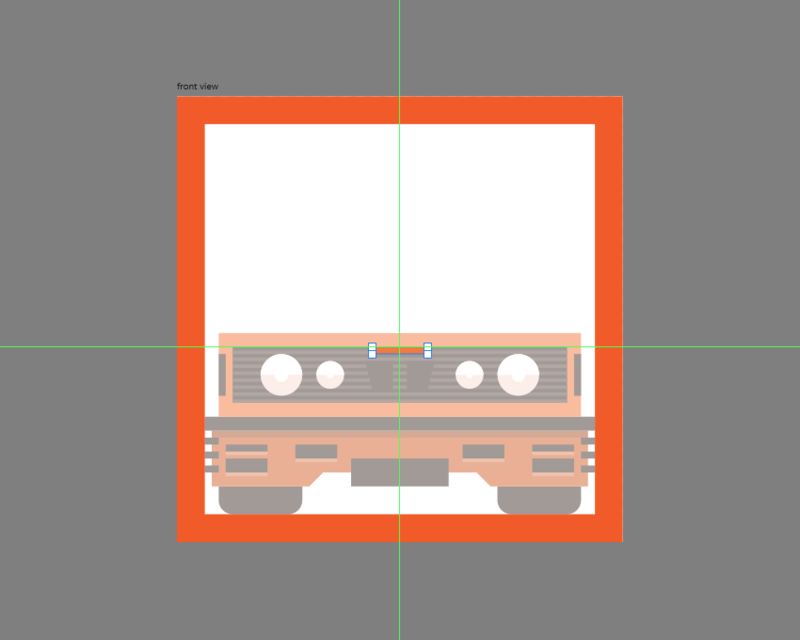 creating the icon pack using just one size, more exactly 128 x 128 px, which is a fairly large one to work with. which we will color using #F15A24 and then center align as seen in the reference image. since it will act as our active drawing area, giving us an all-around 8 px protective padding. view of the shapes that we’re going to be creating. px from its outer ones. option found within the top context toolbar. 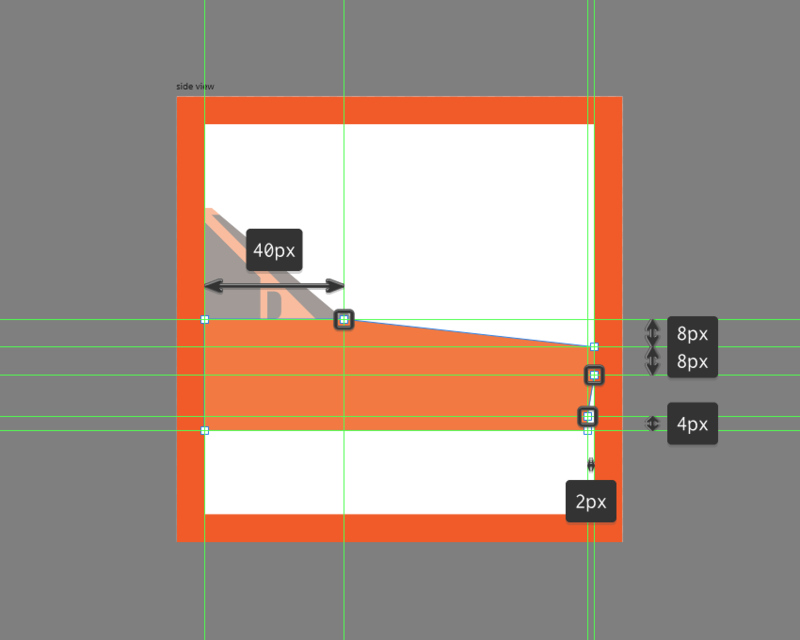 Set its bottom-left (BL) and bottom-right (BR) corners to Rounded, giving them both an absolute value of 4 px afterwards. input box, depending on which side you start with. we will position as seen in the reference image. same for all three of them afterwards. 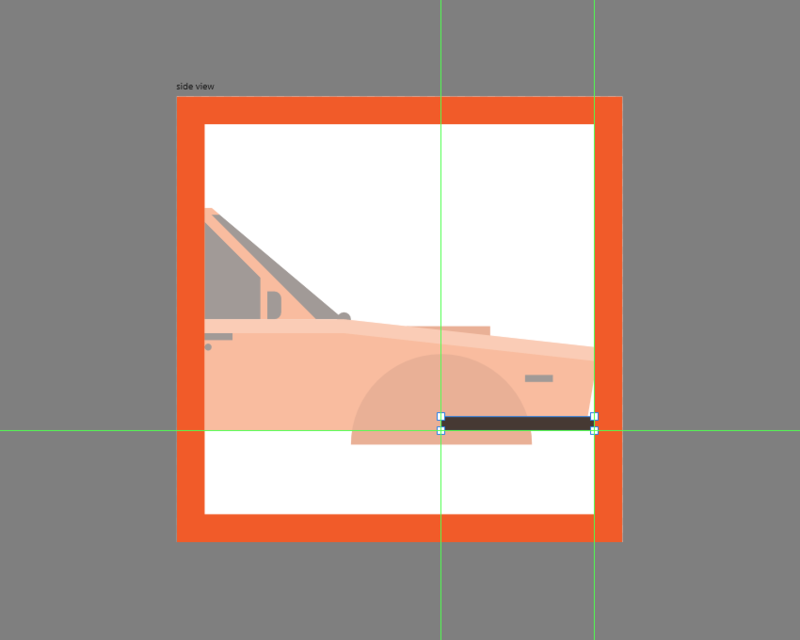 working on, which we will horizontally reflect (right click > Transform > Flip Horizontal) and then position on the opposite side of the bumper. 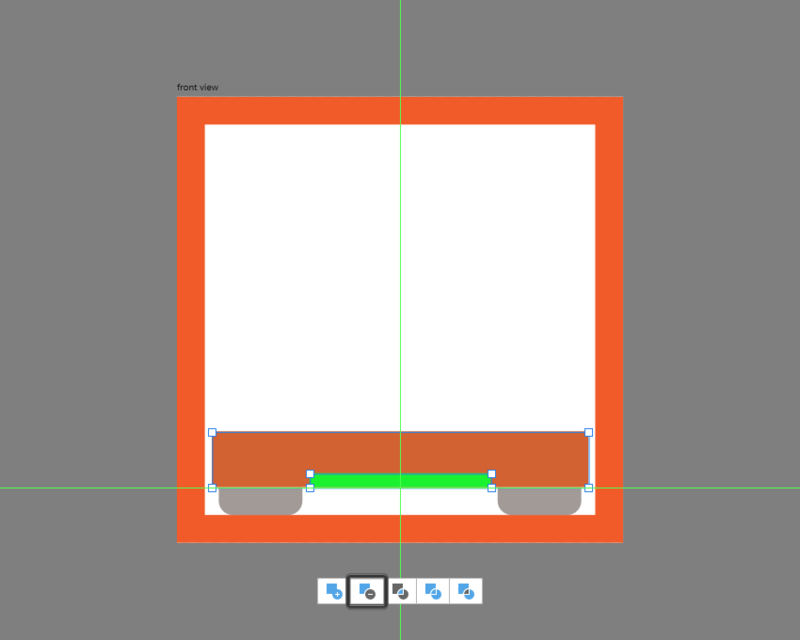 position on the bumper’s sides, as seen in the reference image. we will stack on top of its main body. later on, you can easily do so by opening up the Layers panel and looking at the labels. position on top of the bumper’s lip. panel’s Align Center and Align Middle options. shapes in place, select them and the larger underlying shape and group (Control-G) them together as well. to Curves button in order to be able to reposition their nodes. and then positioning them as seen in the reference image. half, as seen in the reference image. to select and group all three shapes together afterwards using the Control-G keyboard shortcut. 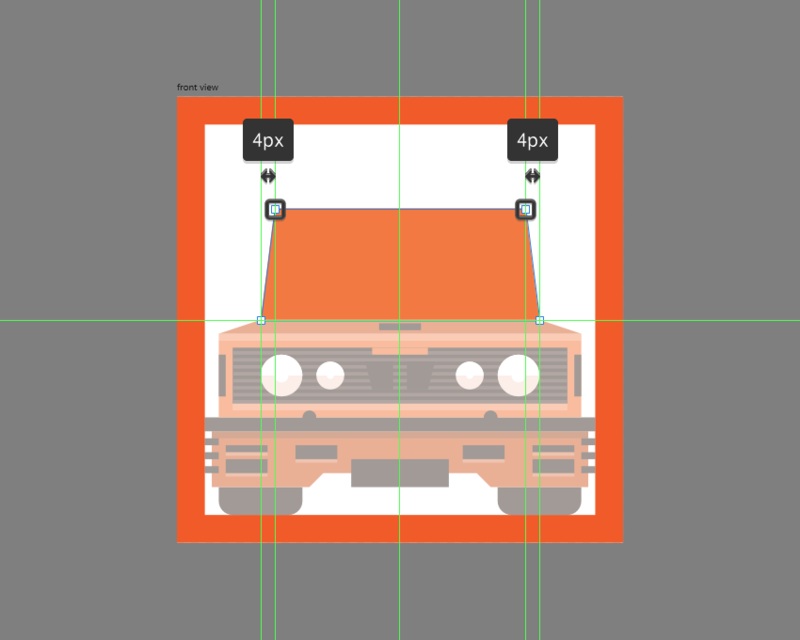 shapes together, positioning them 4 px from the larger light’s right edge. next step, make sure you select and group the two lights together using the Control-G keyboard shortcut. 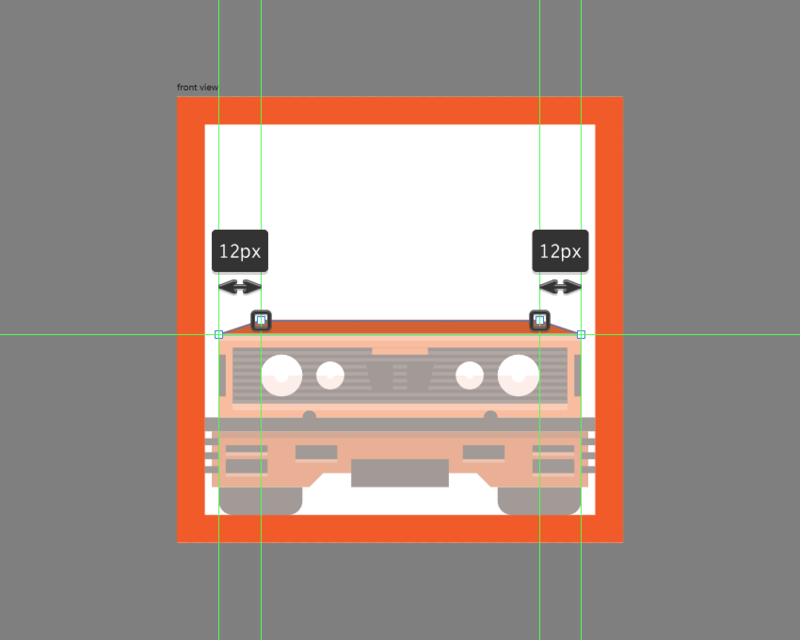 on the opposite side of the grill at a distance of 8 px from its right edge. the car’s front, as seen in the reference image. color using #F27B40 and then center align to the grill’s top edge. 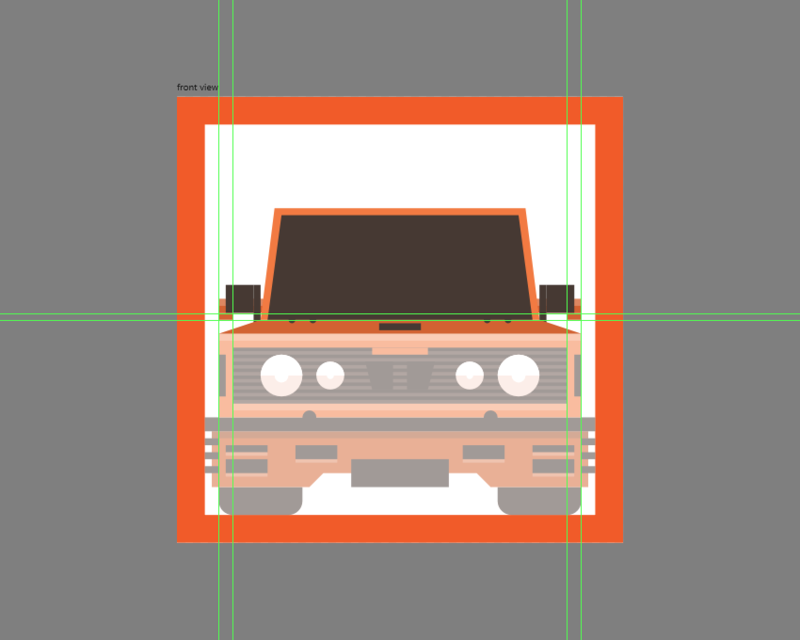 the same for the car’s front section using a slightly wider 104 x 2 px rectangle (#FFFFFF). you’re done, select and group all of its composing shapes together using the Control-G keyboard shortcut. the inside by 12 px. select and group the two together using the Control-G keyboard shortcut. 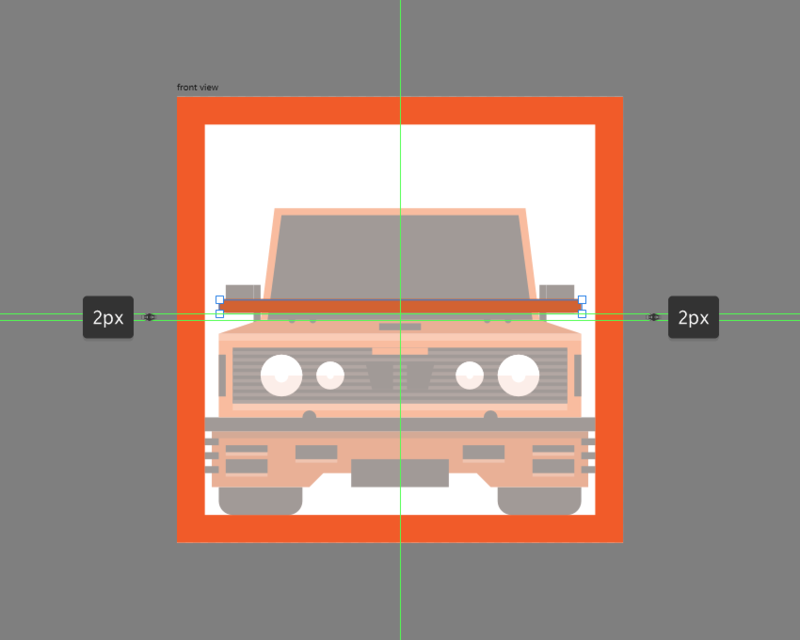 its top nodes to the inside by 4 px, positioning the resulting shape on top of the hood. current section’s composing shapes before moving on to the next step. making sure to push them to the back afterwards (right click > Arrange > Move to Back). sure to position them behind the car’s upper section afterwards (right click > Arrange > Move to Back). shortcut, before moving on to the next one. 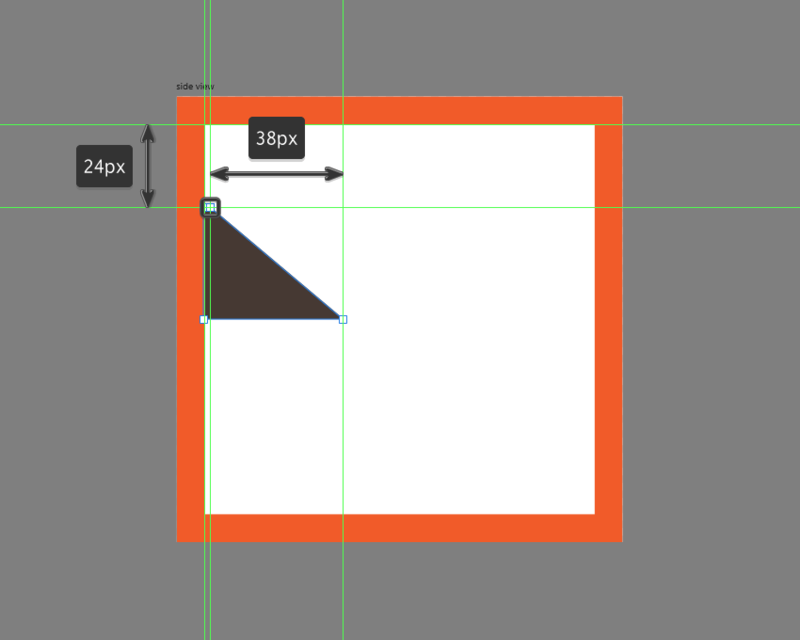 shape to the active drawing area’s left edge, positioning it 24 px from its top one. dragging it over the larger windshield. immediately removing it by pressing Delete. corner, as seen in the reference image. 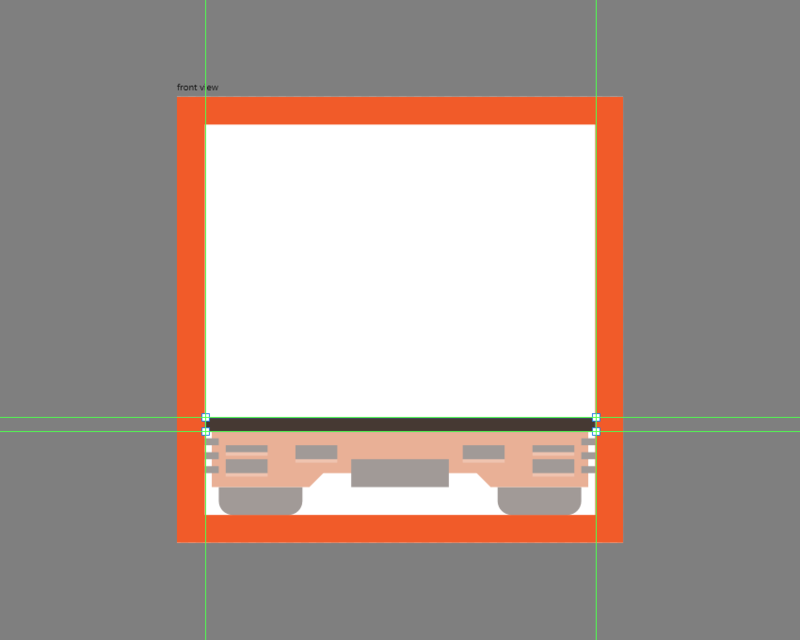 larger one, making sure to align it to the underlying shape’s bottom-left corner. 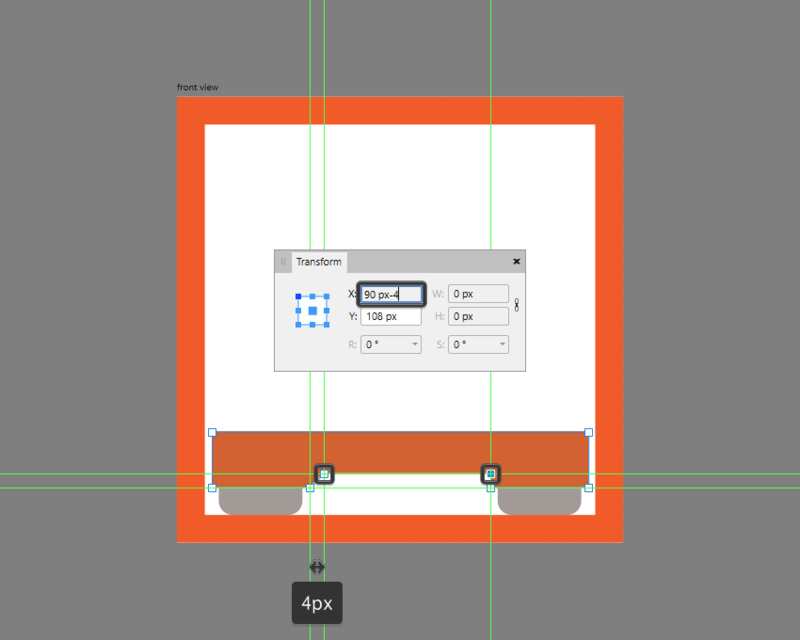 afterwards by simply dragging it over the larger shape within the Layers panel. 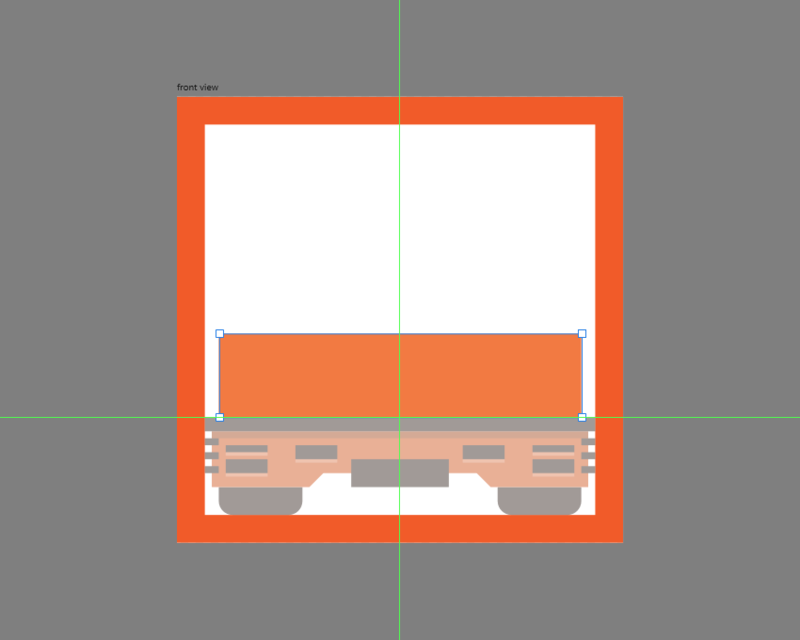 positioning the resulting shape as seen in the reference image. keyboard shortcut, before moving on to the car’s next section. lower its Opacity level to 24%. click > Arrange > Back One a few times). (#443630), which we will vertically stack 1 px from one another, positioning them below the subtle highlight. using #443630 and then position as seen in the reference image. position below the side lip. pushing its bottom-left node to the inside by 2 px. and then selecting and pushing its bottom-right one to the inside by 8 px. position the resulting shape on the fender, as seen in the reference image. 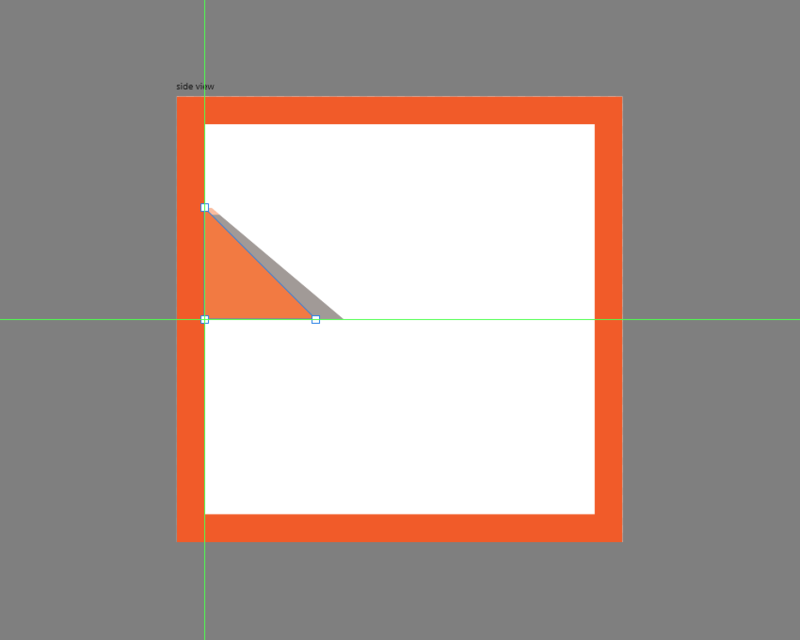 will center align to the larger cutout, positioning it 2 px from its top node. by the inner lighter one using a smaller 16 x 16 px one (#F9DDD2). in order to make it see-through. 4 px one (#443630), which we will center align to the wheel’s main body. managed to learn something new and useful in the process. Are you just starting out using Affinity Designer but haven’t quite gotten the hang of it? Well, if that’s the case, you’re in luck since we’ve hand-picked a few tutorials that should get you started in no time!